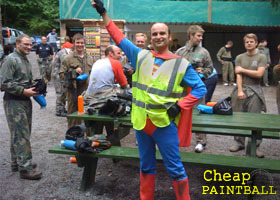 At Cheap Paintball we provide one simple service. 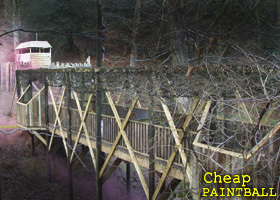 To connect you to the best paintball venue in your area. Cheap Paintball is not a ticket agency. We do NOT take a commission and all emails, contact forms and phone calls connect you directly to your chosen venue. With no middle man involved, you end up paying the best price that your chosen venue offers! And of course..High Octane action, brilliant fun for everyone! On the day you can purchase extra paintballs. The average use is 500 per person, so please bear this in mind when booking your day. Pyrotechnics, drinks, food and snacks can also be purchased on the day. Paintball is enjoyed by people from all walks of life, and is perfect for Birthdays, Stag Do's, Hen Do's and Corporate events. For further information or to arrange a booking, simply head to the location page, choose a venue and either send them a contact form or give them a call.